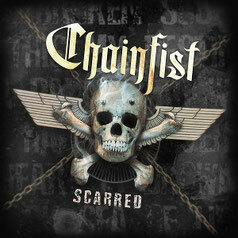 Five piece Danish metal band CHAINFIST will release their 2nd album entitled "Scarred" worldwide on October 6th through Mighty Music. The band was formed in 2007 and consists of ex-members of Panzerchrist, Frozen Sun and Infernal Death. In September 2010 they released their first full-length album "Black Out Sunday" which was praised by several Danish metal-sites. Since then the band has been playing on various stages in Denmark, building up a solid live-reputation with top-marks from the critics. CHAINFIST has played around the country in numerous shows for the past 4 years. It is a unique live experience with giving a professional live show, a frantic and charismatic stage performance. This is why they have received much credit. 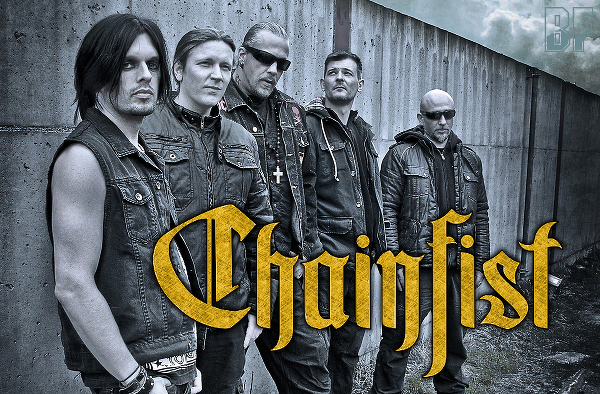 CHAINFIST delivers dirty sound from heavy metal elements and gripping vocal melodies to make their unique touch on the genre with bands like Mercenary, Volbeat and Disturbed. Produced by Michael Hansen at Phon Studio and mixed/mastered by Jacob Hansen (Primal Fear, Volbeat, Anubis Gate, Pretty Maids) at Hansen Studios. CHAINFIST will have a release party at the High Voltage in Copenhagen on October 3rd.